Naomi Osaka eased past Kristina Mladenovic to begin her Indian Wells Open title defence on Saturday. 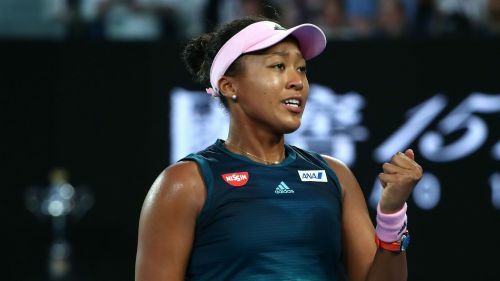 Stunned by Mladenovic in Dubai last month, Osaka had no such problems in California, claiming a 6-3 6-4 victory in the second round. The Japanese world number one was too strong for Mladenovic, hitting 24 winners and 24 unforced errors in one hour, 21 minutes. Osaka will next face Australian Open semi-finalist Danielle Collins, who thrashed Kirsten Flipkens. The champion in Melbourne, Osaka broke in the sixth game of the first set against Mladenovic, closing it out after a tough hold in the ninth.
.@Naomi_Osaka_ takes the first set, 6-3! A break to begin the second set put her in complete control before another gritty hold for 4-2, although there would be a brief stumble. Osaka gave up serve at 5-2 with a double fault and was pushed again in the 10th game, but Mladenovic sent a forehand return long on match point to give the 21-year-old victory.